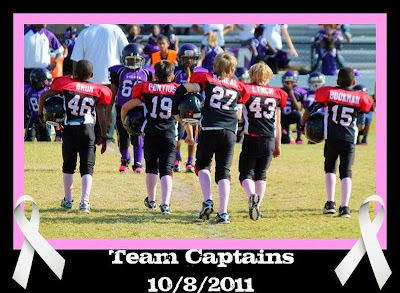 It was a weird thing for me as a Mom, having my oldest boy play football this year. I wasn't ready for it, the worry and the heartache of seeing my baby suit up in pads and a helmet. But as the season wore on, it was exciting. He did so well, and suddenly before my eyes he started to grow up. He started to toughen up. My son became stronger, and less fearful, more confidant. He started to become a bigger boy. The boy has been sheltered his whole life. I think that's a good thing really. But eventually every mama bird has to let them fly, even if it's just a bit. He got hurt, just a bit, and he cried. He wanted to quit. But then he didn't. And he felt the joy of victory. He learned that hard work pays off. He learned that sometimes, just sometimes, things aren't easy. 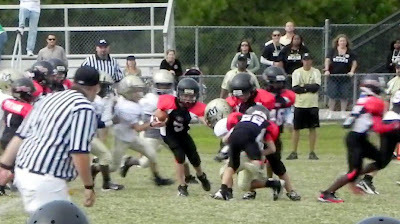 And I learned that 8 year old boys can play football. Real football. It was amazing to behold. 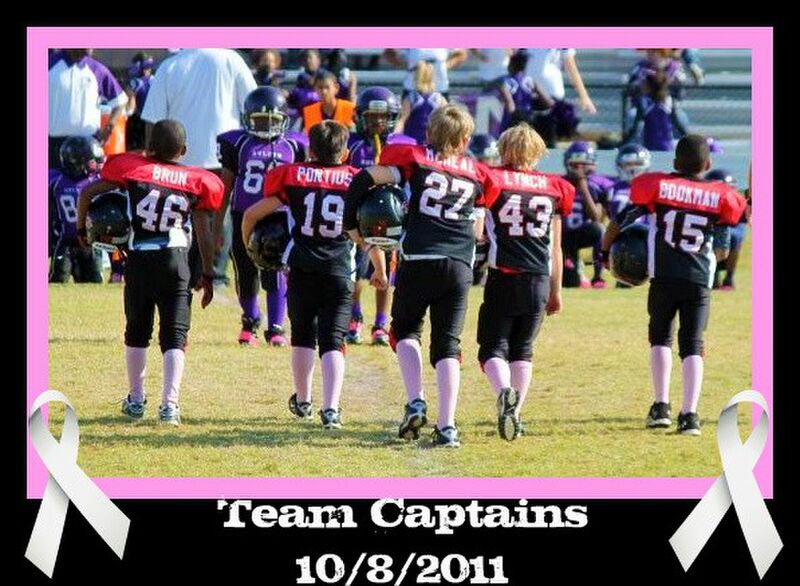 At the end of the season they stood undefeated as they headed into the playoffs. Our second game the boy had to learn to lose, but he handled it pretty gracefully. His dad sent him down to remove the playoffs yard sign after the game, a small mourning ceremony but he took it well. I am so proud of him. Not for "playing football". Rather, I'm proud of him for doing something hard and not quitting. I'm proud of him for learning lessons on being tough while still being the kind, gentle boy he is. I think he'll play next year. But it doesn't matter if he does or does not. Because this year he learned something and flew a little bit further away, then returned. Next year it will be the next thing and then the next. As along as we keep going, we're doing it right.